In a world where almost everything is operated on some levely by computers and technology, it should come as no surprise that your kids will be very happy to open their favorite video games on Christmas Day. We cannot discount the fact that many computer games can provide benefits to children, especially in terms of their cognition and psychomotor coordination. That’s why, with the holiday season upon us, we’re sharing with you the 10 best PS4 games for kids this year 2019. For this update we made sure that all the PS4 games were still available. We know it can be hard keeping your child away from screens, but keep in mind that playing video games can actually be extremely educational and beneficial to your child. We also converted this guide to our new layout. Join SackBoy and his friends for some fun times in Imagisphere. There lies the planet Bunkum where the sock characters live and play. This is a fabulous game for small kids, as they begin their adventures with PlayStation games. As the character OddSock, kids can jump over walls quickly, and as Swoop, they can fly through the air quite magnificently. Players can change between the characters of Big Toggle and Little Toggle. Big is a heavy muscle man and Little is a light speedy character. 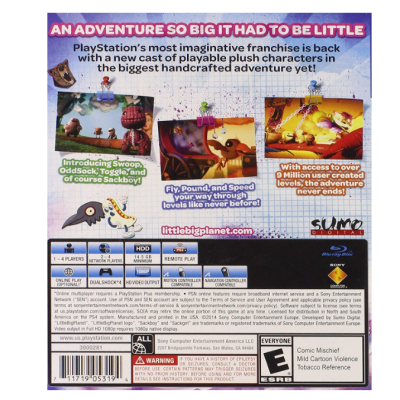 Whichever personality your child chooses to be in Little Big Planet 3, he or she will certainly enjoy this carefree game. Little Big Planet 3 is a game without violence for parents that want their kids to enjoy PlayStation games minus the intensity. If they want a little me-time? Just switch to solo play! With 12 funny, colorful maps, zombified cityscapes, and more, there are hours of adventure waiting for your little one in this quirky game bursting with personality. Online battles allow gamers to connect and play with other users around the world, and four-player co-op might be the choice for kids with interested family or friends. 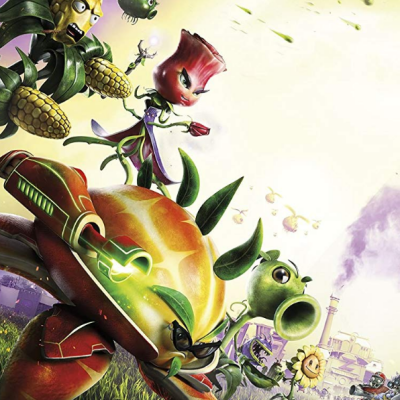 In this game, players can choose to operate as any of 14 different character classes, with an additional 100 playable plants and zombies that span past, present, and future. This game allows for lots of co-op and multiplayer options, making it a solid choice for kids who use gaming as a means of bonding and socializing. 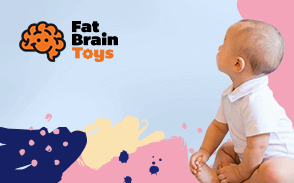 It’s a funny, zany game that will help promote hand-eye coordination and motor skills as well. Customizable dinosaurs which encourages creativity. Two-player feature encourages social activity. Easy play allows for easy understanding. Low competition focuses on fun. A few features are console only. Light fantasy violence that could scare. 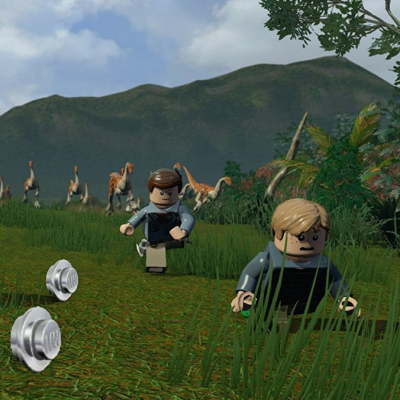 Children will love reliving the adventures of Owen and his pack of Velociraptors led by Blue with the LEGO Jurassic World especially coded for the PlayStation 4. With fantastic game play that takes children through the different scenes of the movie. Oh, we forgot. The LEGO Jurassic World is not just based on the latest installment of the film franchise but rather the entire 4-film saga of Jurassic. Yes, that’s 4 movies placed in one very convenient and spectacularly fun-filled PS 4 game. Your kids will love playing Dr. Hammond and his team of researchers, extracting dinosaur DNA from fossilized mosquitoes, and then creating their very own dinosaurs. Or, they can play the other different characters in the franchise such as Dr. Malcolm or even any of the different dinosaurs like our all-time favorites, the Tyrannosaurus Rex, the Velociraptors, the Triceratops, and the original Dilophosaurus Rex, as well as others. From Isla Nubla to Isla Sorna, your kids will have countless adventures exploring these dino lands and tinkering with a variety of dino DNA. Who knows, they might be able to create another Indominus Rex or maybe a dinosaur that combines the power of flight of a pterodactyl, the speed of a raptor, and the ferocity of a megalosaur. With the two-player feature (console only), your child can enjoy social activity by playing with a friend and if you’re a parent who loves the films, you can join in too! Children will also enjoy using their imagination and creativity to create their very own dinosaurs to play with. Improving PlayStation games for a better play experience is the goal of producers to keep you thrilled with the gaming encounter. Several new choices for this version are retro sim play, year-to-year saves, and new options for gameplay and decision-making. In retro sim, players can revisit the stars of games long ago with the professionals from choice games. This is the MLB way of paying tribute to these marvels of baseball. With year-to-year saves, you can now save your favorite players on your team and have them in the new edition from the 2016 game. This will also be an option for the 2018 game when it is available. Players can save their favorite team members from year to year with the year-to-year option. This way you do not have to start over when a new version is on the market. This will work for 2018 as well. This prevents choosing a whole new team, and losing the ones you most prefer. Possibly the best change to this PlayStation version is the option to make changes not only on the field but off of it too. Choices can also be altered for gameplay and call decisions during games as well. Up your game and enjoy the latest of technology magic with this wonderful 2017 MLB PlayStation experience. The Madden Franchise is one of the most popular game lines out there. The 2017 edition leads as one of the most-refined and advanced in the series, with updated gameplay, franchise, and presentation. The game now includes a Ball-Carrier Feedback System, which alerts players to defensive threats and moves they might use to evade the other team’s advances. EA Games brought a whole host of bells and whistles out for this update. 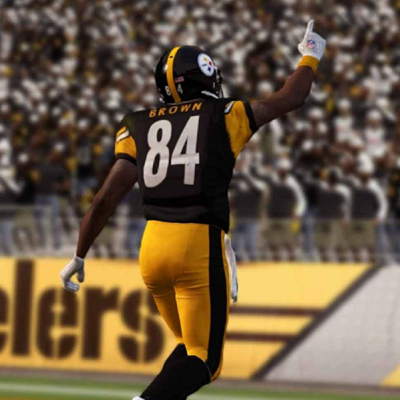 Madden 2017 has a huge amount of new features that will keep players entertained for hours, and truly help users to get acquainted with all aspects of football. A Play the Moments feature allows gamers to fast forward through the parts of team-building and maintenance they might not find as interesting, and play their favorite highlights and events. Game Planning allows players some foresight and the ability to study their opponents’ habits and practice drills and plays that will counter them. Brandon Gaudin and Charles Davis join the team to offer their voice and commentary talents. Players can update throughout the season so that the commentary stays fresh and focused. The 2017 Madden Game has tons of features that set it apart from its predecessors. Specifically, there seems to be a focus on studying other teams’ techniques and understanding how to strategize against that, helping to improve children’s analysis and planning skills. Never run out of bricks with this PlayStation version of LEGOs and never be bothered with packing them away. Parents will be glad to not have missing pieces or pieces left all over the house when kids play this version of LEGOs. Children can experience a world made up completely of LEGO bricks and they can even build up whole worlds with them. 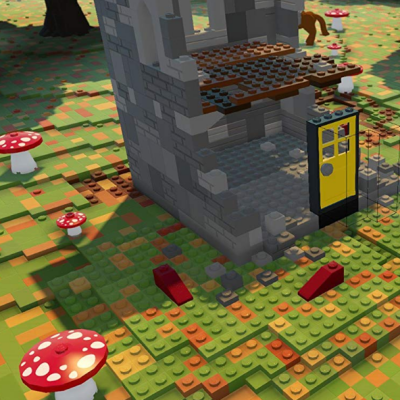 If your kids love LEGOs, but hate picking them up or physically building things, then this is the game for them. See your creations in a whole new light with the 3D format. The game has characters and creatures that come to life in your creations, plus you can fill your landscapes with prefabricated structures to make them perfect. Kids can explore the many sites of the game with any of the generated personalities, such as dragons, gorillas, helicopters, or motorbikes. The possibilities and artistic expressions are endless with the LEGOs in 3D. Players get Scrabble, Monopoly, Trivial Pursuit, and Risk all in one game bundle. These board games are all classics that have been around for decades, but now they are in 3D format to make the gaming challenge new and exciting. With the PlayStation version, there are no missing pieces or dice like the old days. Any of these are perfect group games for family night. They each provide hours of entertainment whether alone or not. Play the game of Monopoly that you know and love in 3D format. The game is much more interesting this way and up to six people can play at a time. 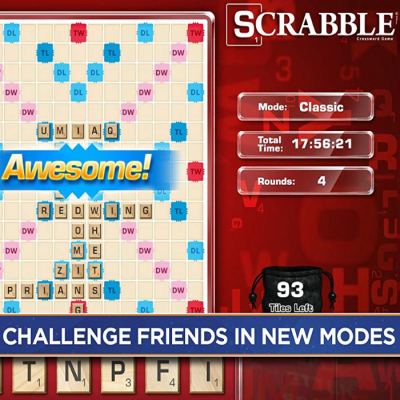 Scrabble has new game modes and you can challenge others online or in person. As many as four individuals can play this pastime. Four games in one is a real bargain. Players can test their knowledge and playing skills alone, against others, or with the computer. As soon as kids are old enough to understand the mechanics of playing basketball, they are old enough to play this PlayStation game well. Match your wits against other players, against the game itself, or online. 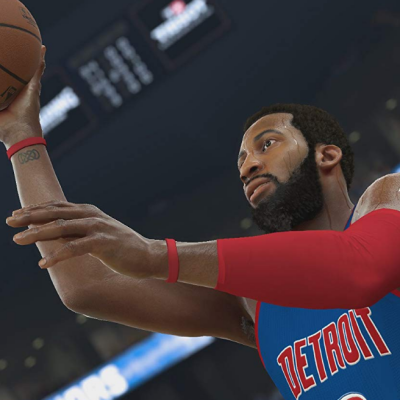 The manufacturer has tried to improve game play through the many editions of basketball play, and this is the most authentic with real-time graphics and fast action. It is just like watching a real game on the screen, except you get to participate in the skirmishes on the court. See why this model has been the #1 rated NBA game model for the last fifteen years. 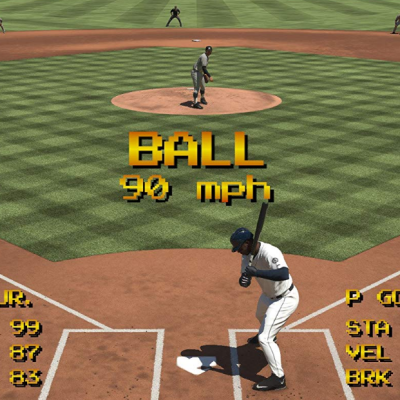 Over the years simulation games have improved greatly providing the player with a more realistic view of the game. This latest edition gets the player heavily involved in the action and makes the play seem so real. Construction has never been as fun as with this Dragon Quest game for your Playstation. Using materials and items found, build unique tools. With those instruments, make buildings and structures to restore the life of the people in Alegard. 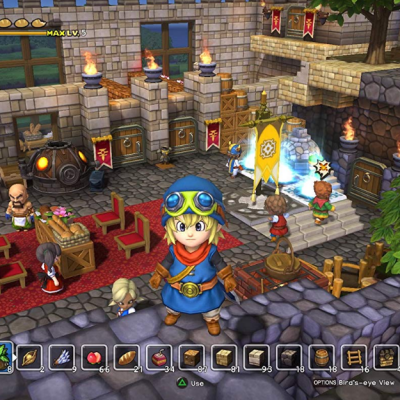 Their town needs to be rebuilt as you fight monsters and interact with wonderful 3D characters. Enjoy the fantastic story as you battle big and small monsters. Those with creative minds and vivid imaginations will do well with this building game and its several modes of play. Explore a wide open world in which to make the creations, as you build hundreds of structures and items in this game. This game uses imagination, ingenuity, motor skills, and cognitive talents to build the necessary items and structures in the unlimited forms imaginable. New moves and better performances from the characters, like Hulk and Abomination make this game super exciting. They swing, smash, and fly through the air in this story of all the classic characters from the Marvel families. Players can take control of their characters and work to stop the evil villain Loki from taking total control over Earth. The Marvel characters are iconic to kids. They love when they get to become those characters and work their way through the game. It is fun for everyone in the family so it makes a great family fun night of video game playing. They can also work to find other villains to lead them to the key cities where they are taking more and more control. It is action packed and ready to deliver a Marvel thrill that your kids will love playing. Video games that feature the player becoming a character allow children to improve their problem-solving skills. Each time they play the game trying to reach the goal they are thinking about the steps they are taking and ensuring the next move is the best. These split-second decisions are great to improve and practice thinking on their feet. Common knowledge states that once a child receives a toy for Christmas, the child will lose the interest of that toy within three months. The same can possibly be said for video games as well. Since video games can be finished with quicker than your average toy, it’s imperative to choose video games that can hold a child’s interest. You wouldn’t want a child to play the video game one time only because of boredom. So choosing a video game that speaks to a child’s personal interest (sports, arts, or puzzles for example) can help supplement playtime and possibly extend that interest into a real-life hobby. Variety is important as well! Choosing a combination of video games from educational to pure enjoyment can give a child a well-rounded range of fun and playtime. Video games just for fun can give your child a chance to play with their imagination and use their creativity while in a relaxed state and video games for education can help enhance their current learning. Balance is key! Choosing video games for children is no different from choosing other toys and gifts for children. Interests, personal tastes, age ranges, and developmental needs play as much a role in video game selection as it does in toy and gift selection. There are, however, a few particular caveats for video games that are not applicable to toy and gift choosing. In the following paragraphs, you’ll learn the criteria you can use to judge with when choosing video games for kids. Likewise, video games that have action in them and are first-person-focused can help develop a child’s fine-motor skills. The right video games can teach intangible skills such as patience, perseverance, and even empathy. Tangible skills such as programming, dancing, and even engineering can be taught by video games as well. Of course, video games should never become the sole focus of skill and personal development and should only be used as a supplement. A video game that teaches painting by numbers might be fun for a bit, but it could possibly turn boring for a child. Video games that provide skill development for a child cannot only be fun but also help supplement a child’s development. Puzzles, strategies, and tactics that are in video games are perfect for a child’s critical thinking and problem-solving skills. When we embarked on our mission to bring you the world’s top 10 PlayStation 4 games, we were not really sure how to make the shortlist. Perhaps because we have already outgrown our fondness and passion for such games. As such, we knew we had to modify our approach and look at our list from the viewpoint of children. Well, they’re the ones who’re going to play with it, right? So we had to make sure that the games are fun and with just the right levels of difficulty or challenges to help motivate our kids to really think and strategize. Too easy and they get bored; too difficult and they might give up entirely. To assist us with this, we had to consider the recommended age of the PS4 game and compare that to the developmental abilities of children of that particular age. Is it appropriate for the child’s age? Will it be enough to stimulate the establishment, if not the enhancement, of the child’s developmental needs? We had to look at the gameplay features and try to determine the specific developmental benefit it can provide to children of a particular age group. Obviously, we also had to consider the feedback as well as reviews of fellow parents and other consumers. We didn’t particularly give weight to the reviews of serious gamers as not all parents have the technical proficiency of a serious gamer. We, nevertheless, took into account the different themes contained in this feedback, comments, and reviews to gain an understanding of how the kids' PS4 game is accepted by ordinary parents, not avid gamers. With this three-point system we devised, we were able to define our top 10 PlayStation 4 games we’re sure every kid will love. Video games are no longer the domain of children. Plenty of video games are being played by adults, even parents themselves! Due to the wide range of ages playing video games, there are myriad video games that appeal to those age groups. It is imperative, therefore, to choose video games that are age-appropriate for your kid. When choosing an age-appropriate video game, you first should check the Entertainment Software Rating Board (ESRB) age rating. This rating is just a guideline, however, so it’s still up to the parent to make the best judgment. From there, another way to determine age appropriateness is the content in the video game itself. What kind of content is in the game? Could the fantasy be too indulgent? Is the realism too intense? Is the action too rough and harsh? What’s good for a 10 year old in video games might not be good for a 6 year old in video games. Word of mouth is still a great option to discover the next best thing and video games are no different! Reviews of video games can help you make an informed and educated decision when choosing PS4 games for children. The best reviews come from parents who will give a no-nonsense and honest review. You can discover information such as the quality of the video game, the ease or difficulty playing, what kind of content the game has, if the game is boring or entertaining, and so on. The possibilities are endless! Of course, there are reviews from legitimate websites and blogs that focus on video game reviews and such reviews can give a very detailed, thorough response. There is an issue, however, of such reviews being paid for which could result in a not-so-honest assessment. Your best bet is to stick with parental reviews and a great starting point are the PS4 video game reviews at Amazon that are offered by parents who are verified purchasers. While computer games can definitely benefit children especially in terms of their motor reflexes, cognitive abilities, social relationship skills, and even logical, strategic, and critical thinking abilities, there is a great divide regarding the use of these kinds of games among children. On one end of the spectrum are those blaming computer games for the sedentary lifestyle seen among many children today. On the other end are those claiming cognitive, social, and emotional benefits. Provide a limit to your kid’s use of computer games. Unfortunately, there are no clear-cut rules on how much time in front of computer games can be considered safe. Like any playtime activity, playing video games should also have its time limit. Two hours is usually a safe bet. Make sure to provide other toys for your child to play with. Video games can help develop certain aspects of children’s development. These can also be provided by other toys. Establish an agreement with your child to play only video games at certain days of the week and for a certain length of time. You can offer other forms of rewards if he or she can keep your agreement. Choose video games that involve whole body movements. This is where sports- and dance-themed games are highly beneficial. The movement will help your kid get the physical activity he or she needs. q: How much do PS4 video games cost? The average price of a PS4 video game can cost up to $60. The games on our list, however, are quite affordable and if there is a game that isn’t on our list but is close to the $60 range, check for a downloadable option which is usually cheaper than the physical option. What determines the price of a PS4 video game varies. PS4 video games that are in higher demand, have cutting-edge graphics and technology, and are geared toward an older crowd can be costlier. PS4 video games that are lower competition, have more basic graphics and technology, and are geared toward a younger crowd can be cheaper. Of course, these are all guidelines and some children’s PS4 video games could be more costly depending on various factors such as demand and technology. What you can afford is determined by what you are willing to pay for. q: What are the Electronic Systems Rating Board (ESRB) ratings? q: Why do video game age ratings matter? It’s imperative to make sure your child is playing PS4 video games that are appropriate for them. While there is a growing body of evidence that violence and suggestive themes in video games do not cause real-life violence or other moral issues, exposing your child to a video game with violence or inappropriate material can still have negative effects such as psychological trauma, emotional disturbance, or even nightmares. Children are usually not emotionally or psychologically ready to handle themes with extreme violence or highly suggestive material. So, it’s best for their development to stick with PS4 video games that are age-appropriate with little to no violence and suggestive themes. q: How can I prevent my child from becoming addicted to video games? If video games are kept in the child’s room, it might give them more incentive to play. q: Where can I discover even more PS4 video games? If you desire more than what the top 10 list had to offer, there are a few options you can take. You can start with the top 10 list itself: Click on the link of the PS4 video game that interests you and when you arrive at the Amazon page for the PS4 video game, scroll down to the “Customers Who Viewed This Item Also Viewed” or “Customers Who Bought This Brand Also Shopped For” lists. Those two lists can give you a great starting point in more PS4 video game discovery! Also, the “Frequently Bought Together” section on an Amazon product page can help too. There are a variety of blogs, content sites, and even stores that can help you in discovering PS4 video games and making an educated and informed decision when buying one for a child. While there are too many to list here, one great start can be a simple Google search such as “Where can I buy video games?” or “How to choose video games?” Thanks to Google’s elite search algorithm, you’ll be given results that will lead you in the right direction. q: Which games are recommended for very young kids such as under 6 years old? 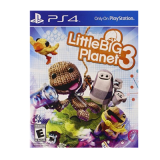 Some of the best games for young kids are LEGO Worlds, Hasbro Family Fun Pack and Little Big Planet. They are all easy to understand and will hold the interest of a young child. q: I want to get a PlayStation game for a girl. Which ones would interest a girl in general? The age of the child and her interests would greatly influence this decision. Find out if she is interested in sports or just general games. All PlayStation games are for girls and boys unless specified, as they can be interested in all sorts of things. Girls like football, soccer, and basketball among other sports, so do not rule these sports games out just because your intended user is a girl. q: Is the Internet required to play these games? No, for most of the games, if not all of them, the Internet is not required to play the games.